Description: Aerial. A locomotive without wagons is riding on the rails through the forest. There is a road and a village next to the railway. 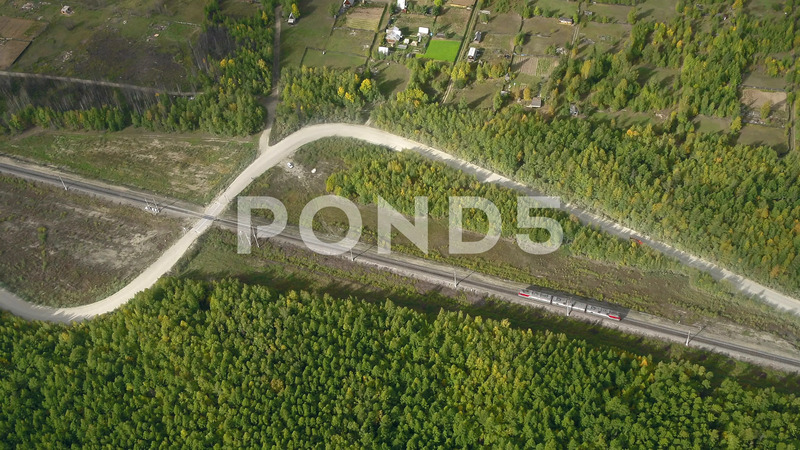 The camera is flying over the train and soon a beautiful landscape opens. There are high hills in the distance overgrown with forest.